Entry free. Games and table charges apply. 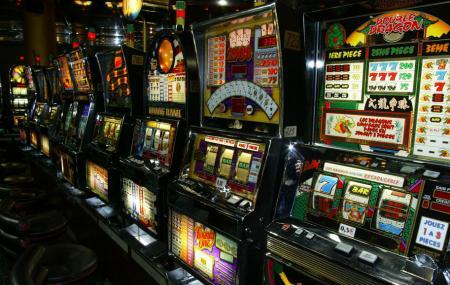 Slot Machines: 11 a.m. to 2 a.m.
Gaming tables: 9 p.m. to 2 a.m. Restaurant: 7.30 p.m. to 12 a.m.
How popular is Casino Barriere? People normally club together Parco Giochi Le Rue and The Alpine Museum while planning their visit to Casino Barriere. Two tables - One blackjack and one roulette. They do have a really good electronic roulette setup that is a lot of fun because it moves so quickly and you can even play two spins back to back. There's a range of old and new slots and some pretty expensive drinks from the bar. But hey, it's fun and not very intimidating. It's a small casino but pleasant and you can have a lovely time.